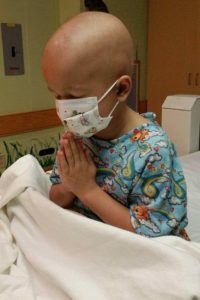 Childhood cancer is a monster that creeps in and invades, steals, and robs us of our sense of safety, well-being, joy, peace, and trust. For many of us we find God to be a source of comfort at a time like this and we say our prayers even if we never have before in our lives. We rely on our supporters in the community who come together during these times to say their prayers, to light the candles and to encircle us with their love and their faith, we draw on that, because sometimes we cannot draw on our own. My child was diagnosed at age 4 with stage four high-risk neuroblastoma. 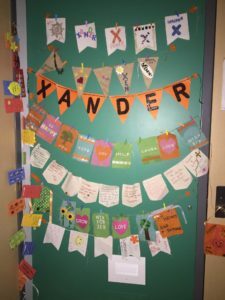 Xander has been, from the time he was a baby, a very relaxed, centered, loving and emphatic little child who loves animals and people! He was and still is that child on the playground who approaches a lonely little girl and touches her face telling her that she is beautiful, awesome, and wonderful. He goes outside in the mornings to hear the birds and says good morning to them, telling them that he loves them and that they can come and say hi, promising he won’t hurt them. Xander kisses butterflies and tells them that they are free to fly high and animals appear wherever he is- bunnies, frogs, salamanders and chipmunks. 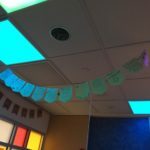 I don’t have to tell you what that first week or what hearing that diagnosis felt like, I think if you are here you already know that shattering experience and you know that it hurts so deep and it seeps into every corner of your life. 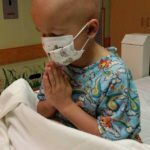 When childhood cancer crept into my little beautiful golden boy, I thought that my son would fade off and that it would change him, make him different, and that I would lose so much of him. In some ways that was true! He even smelled different. Yet there wasn’t a moment I didn’t believe that he would ‘grow up’. 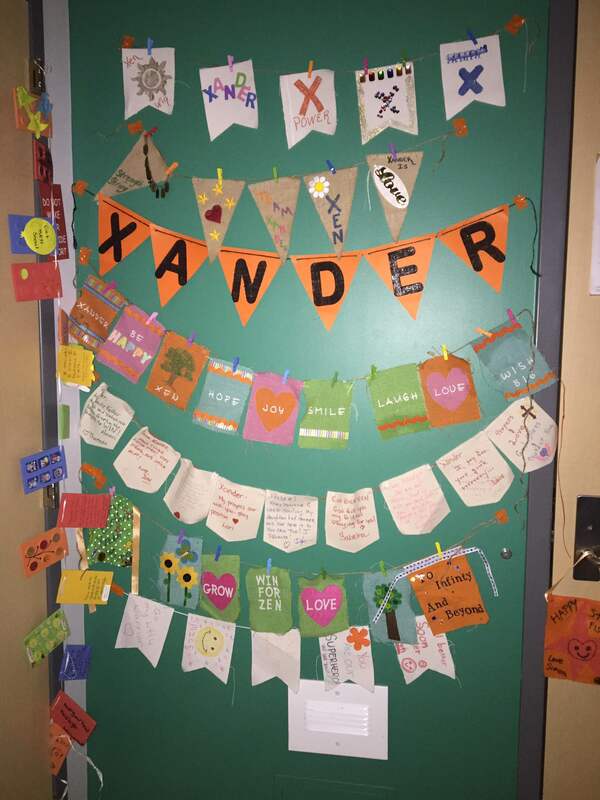 After 4 1/2 months of chemotherapy, surgeries, and preparing for stem cell transplant, (about a quarter the way through treatment as it turned out) Xander’s birthday was upon us and he requested a yoga theme! In case you’re wondering we are not a ‘yoga’ family! 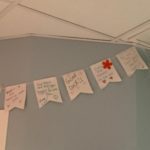 I was a little unprepared for such a party and I wasn’t sure how I could make this as special for him as he deserved…until the idea of “prayer flags” hit me! 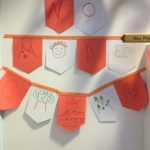 I went on his page and invited his team to create a flag about 4″x6″ and attach ribbon to either side so I can tie them all together and surround him in all those prayers for his birthday and then bring them to stem cell transplant (originally planned for the end of that month). 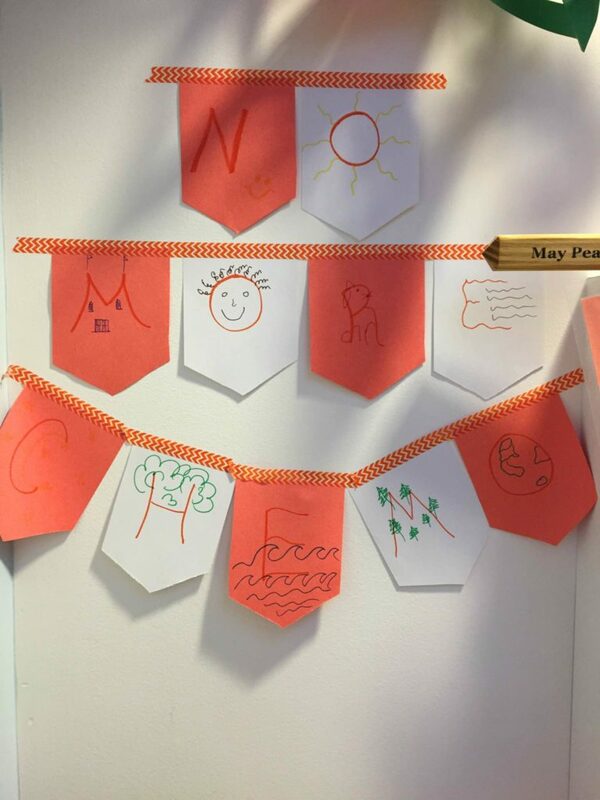 We received so many interesting flags and banners! Some people wrote affirmations like “YOU ARE STRONG” or “NEVER GIVE UP”. 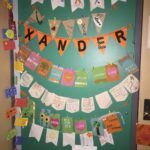 Others decorated with markers, stickers, glitter! 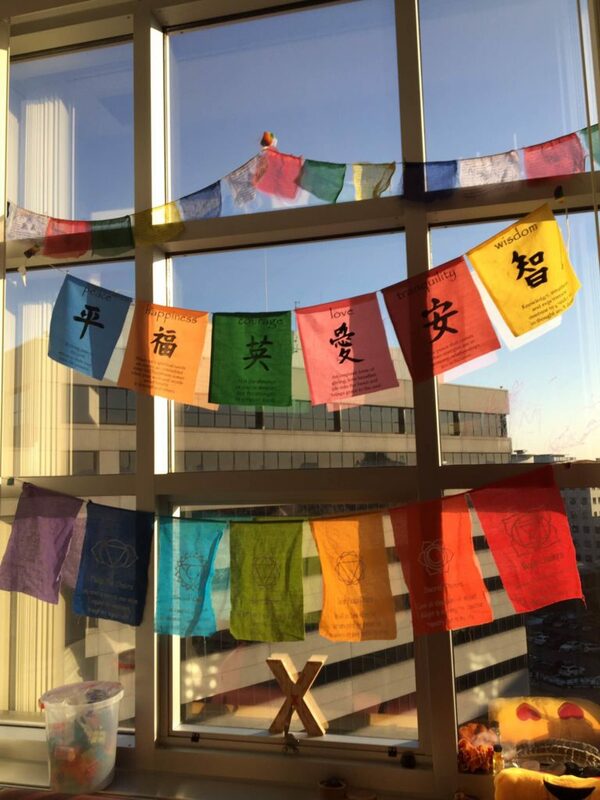 People sent banners, squares, ribbons, felt, Tibetan and Hindu flags as well, all different and special. There were themed ones like Lego, toy story, etc, and others were Christian prayers and symbols. They all were deep expressions of loving support! Everyone at the hospital would comment on how the room looked, I declared “this is a sacred healing space of joy and love”. One morning Xander was in intense pain. I put on music, rubbed his head, and we (his parents) soothed him the best we could. 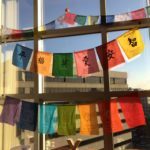 When the intensity softened and he told us that he felt better I asked him what helped, he answered “all my prayer flags”. 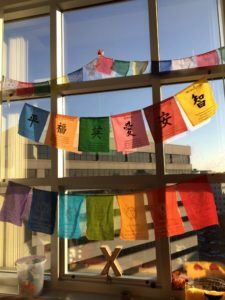 ‘Through Xen’s’ primary focus for families is to send any child from any religious preference prayer flags that we make as a family. Xander will apply his hand print to each set. If you have a color, theme, or religious preference just let us know! I want to bring comfort to children and the message “We are in this together” to other families, however my ultimate goal is raising funds for research. I am exploring ways to connect with other ‘awareness in action’ groups to reinforce and facilitate unified efforts. My agenda is contacting corporations, local and state officials, recreation facilities, and campuses to bring childhood cancer awareness to the forefront of charitable and volunteer options. My goal is to make the gold ribbon as recognizable as the pink one. We need a cure and we need it right now. I want to see real change for kids and put the pressure on to improve treatment and survival for our kids!